First blog of the day. What a treat. Will follow-up on the recommendations a little at a time. I have my daughter's wedding in 2 weeks! You led me to some great blogs with this challenge, not to mention good pictures. Thanks. I've really enjoyed Paris in July - thank you for running it again this year: lots of lovely things to go and check out now! It was incredible fun checking in on people and discovering lots of new bloggers who love Paris and other fun things, too! Thanks again for hosting! Such a fun challenge, Tamara, and I'm so glad you hosted it again with Karen! I loved the books I read (especially Eugenie Grandet), and I am reading well past July within this French theme. I'm looking forward to reading Sentimental Education by Flaubert at the end of August, and hopefully I can get to Bel Ami by Maupassant before it comes out in film. Again, merci beaucoup! 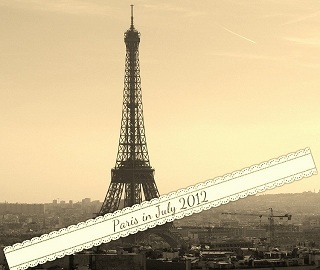 This is an inspiring post for my future Paris in July. Thanks!